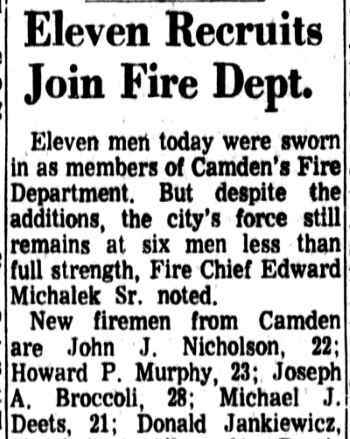 Camden People - Robert R. Allen Sr.
ROBERT R. ALLEN SR was born in Camden, New Jersey on October 10, 1943 to David and Gertrude Allen. 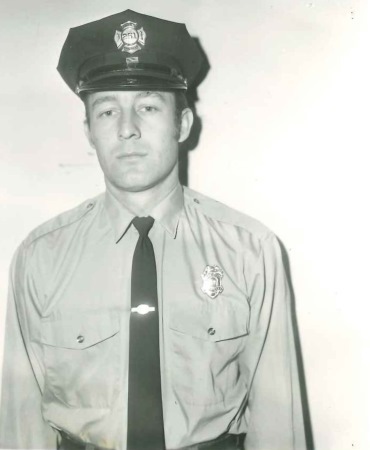 He served in the United States Army from June 25, 1962 until June 13, 1965, being honorably discharged after two years service. 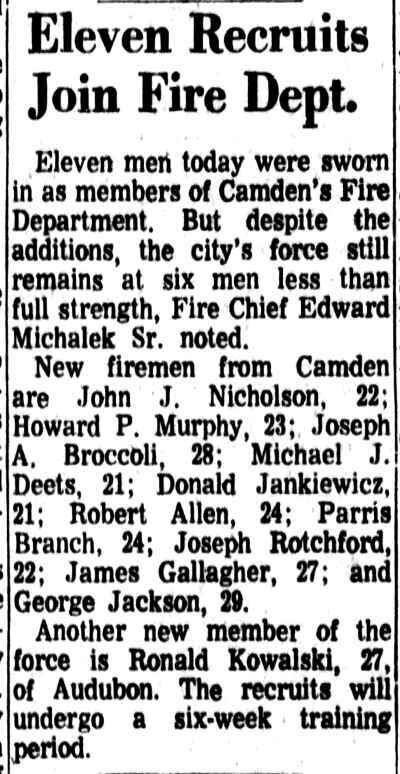 On On July 15, 1968 Robert R. Allen Sr. was appointed to the Camden Fire Department, where he served for over 37 years before retiring on November 1, 1996. 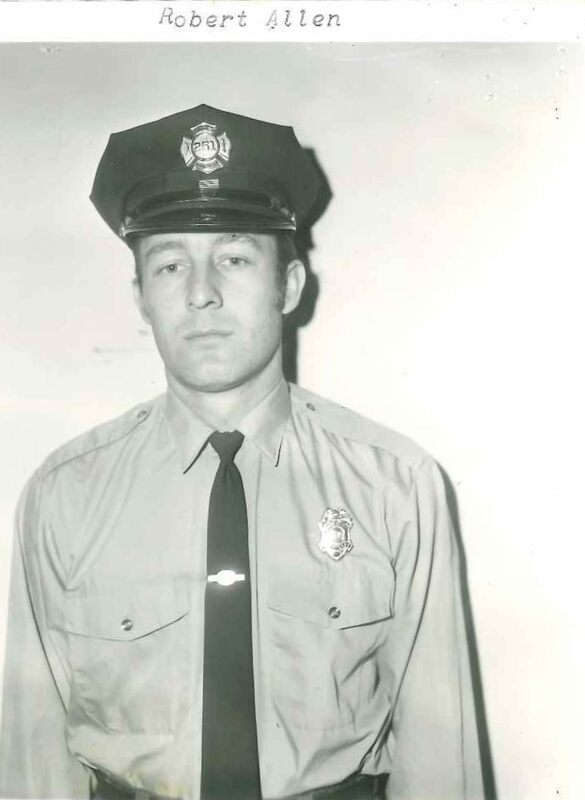 In the latter years of his career he served at Engine Company 3, Third Platoon with Captain Richard Carver and firefighters Charles Arline and Ronald Bowers. 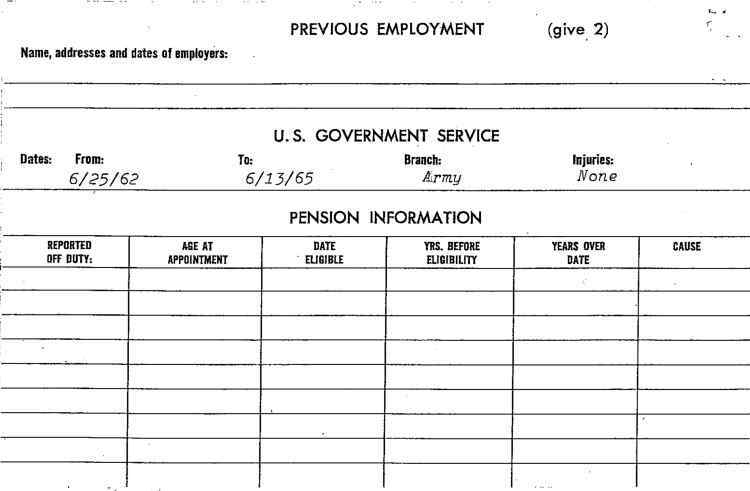 Robert R. Allen Sr. was married to the former Barbara Olesiewic. 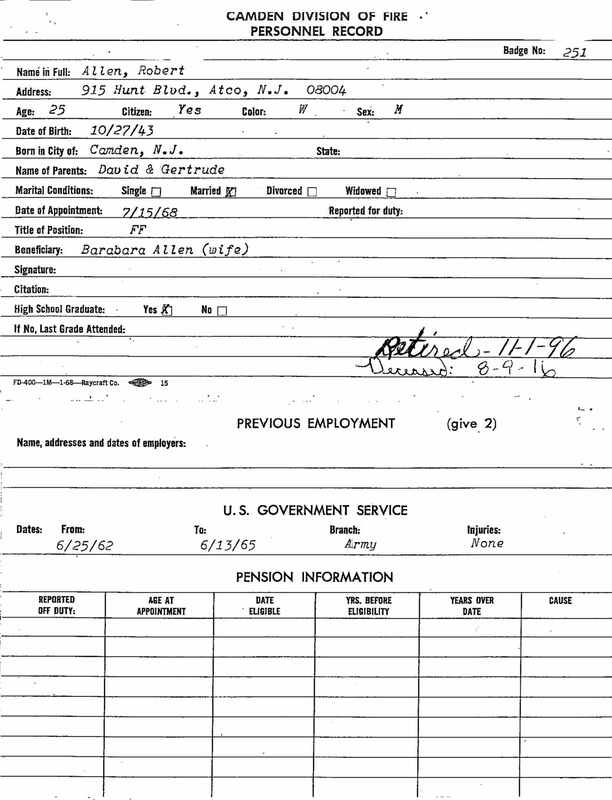 There were four children, David Allen, Robert F. Allen Jr., Barbara Ann, and Amy. 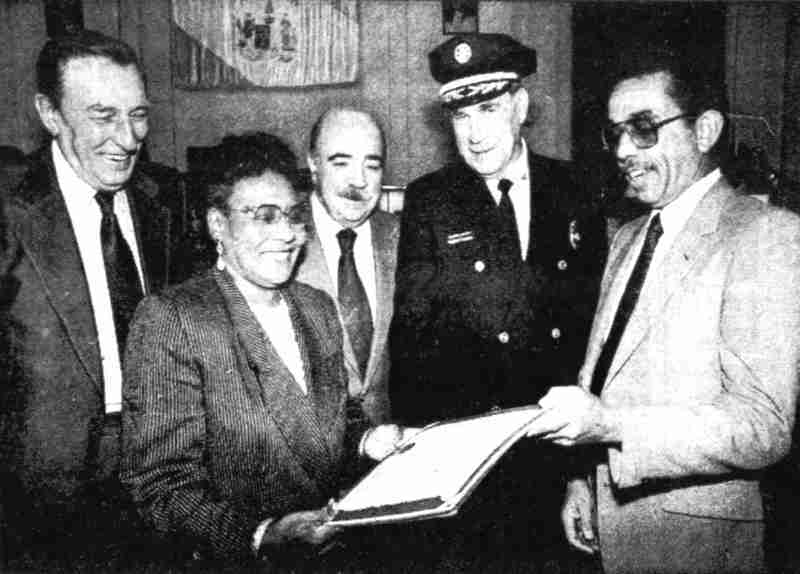 The family lived for quite some time in Atco, New Jersey. 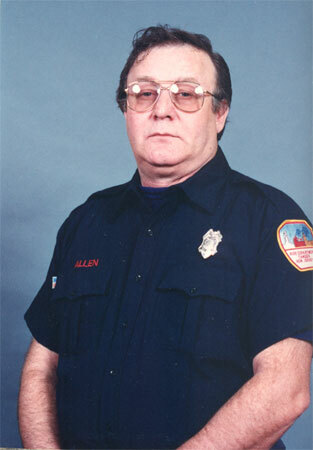 Robert F. Allen's later years were spent as a resident of Oaklyn, New Jersey. 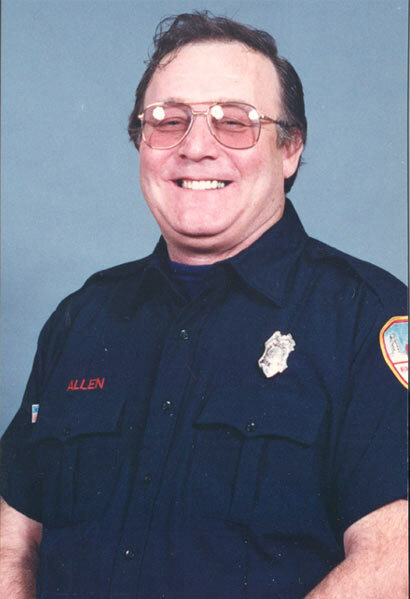 Robert R. Allen Jr. followed his father into the Camden Fire Department on February 1, 1997 and currently serves in the Fire Marshal's office as a Fire Prevention Specialist. U.S. 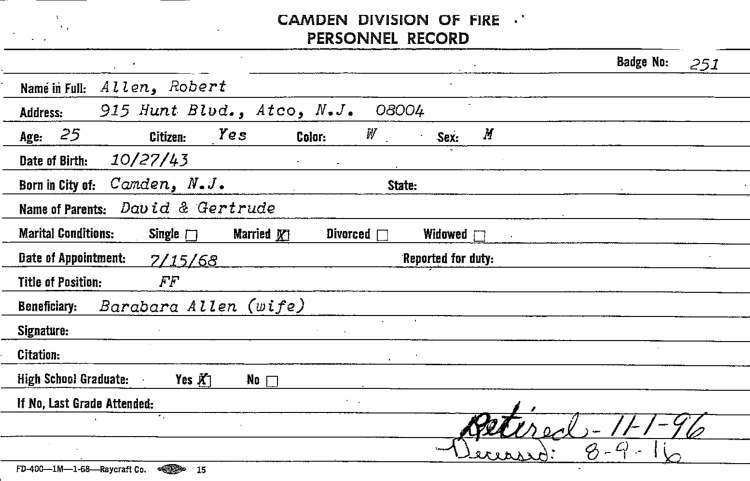 Veteran Robert passed away on August 9, 2016 at Kennedy Memorial Hospital, Stratford, NJ; of Oaklyn, NJ, age 72 years. Husband of Barbara Allen (nee Olesiewic). 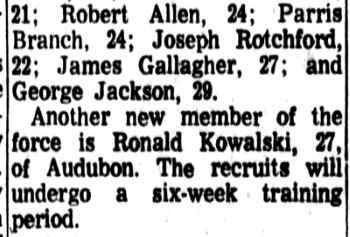 Father of Robert, David, Barbara Ann and Amy. 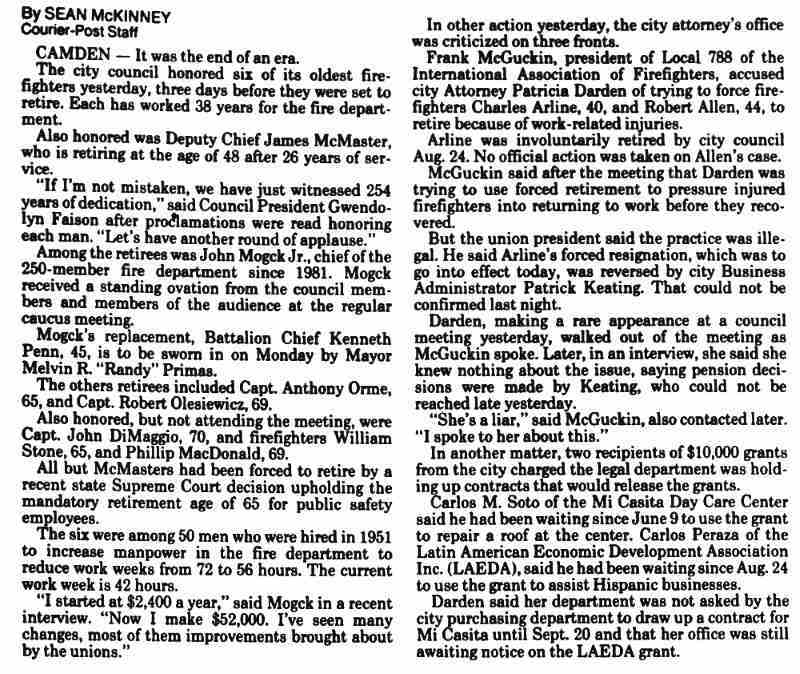 He is also survived by six grandchildren, his mother, Gertrude Allen and three brothers: David (Mary Lou), Ronald and John (Connie). Funeral service and interment will be private at the convenience of the family. Arrangements by the FOSTER-WARNE FUNERAL HOME, Audubon and Collingswood, NJ..